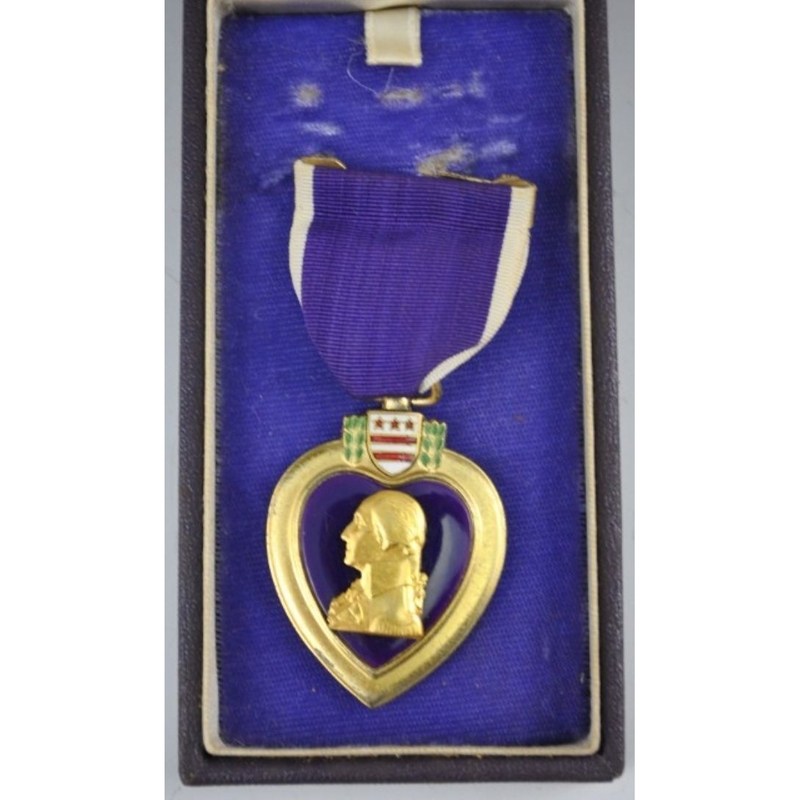 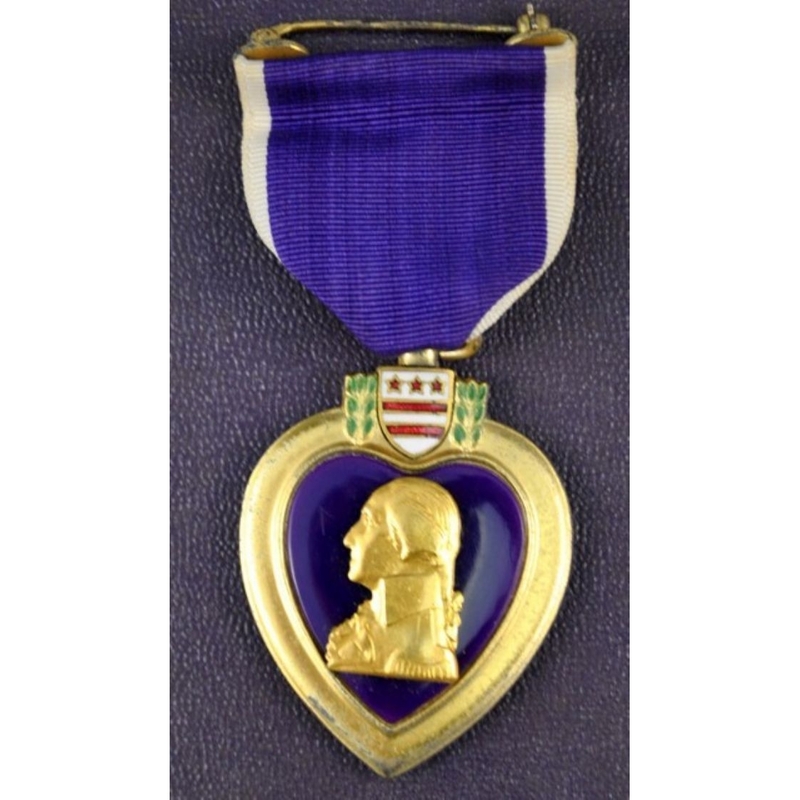 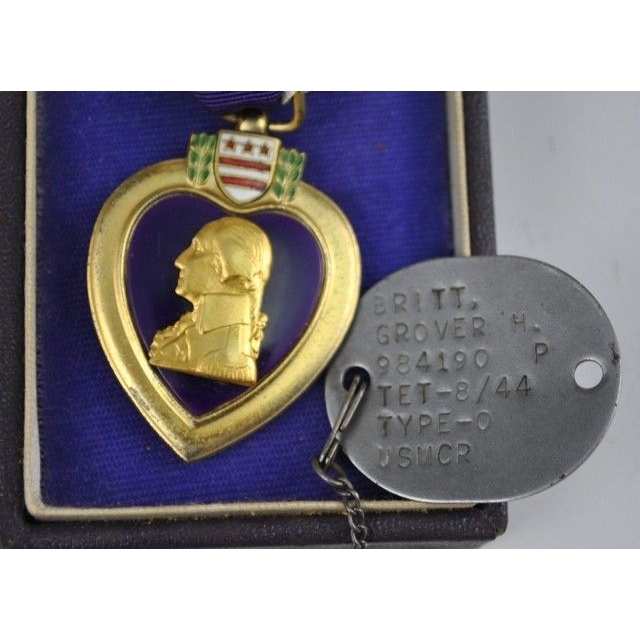 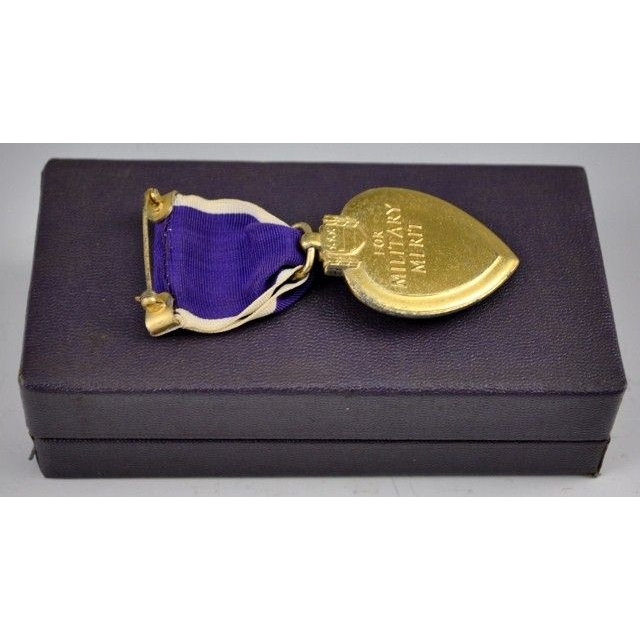 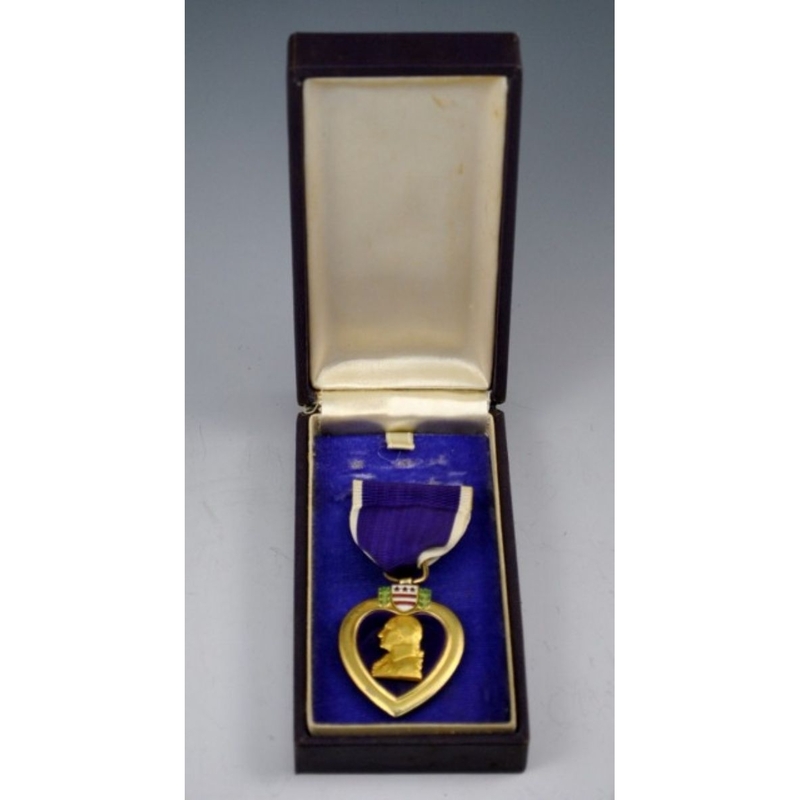 Iwo Jima Purple Heart Medal grouping of Private Grover Hamilton Britt USMC Reserves Clinton, North Carolina. 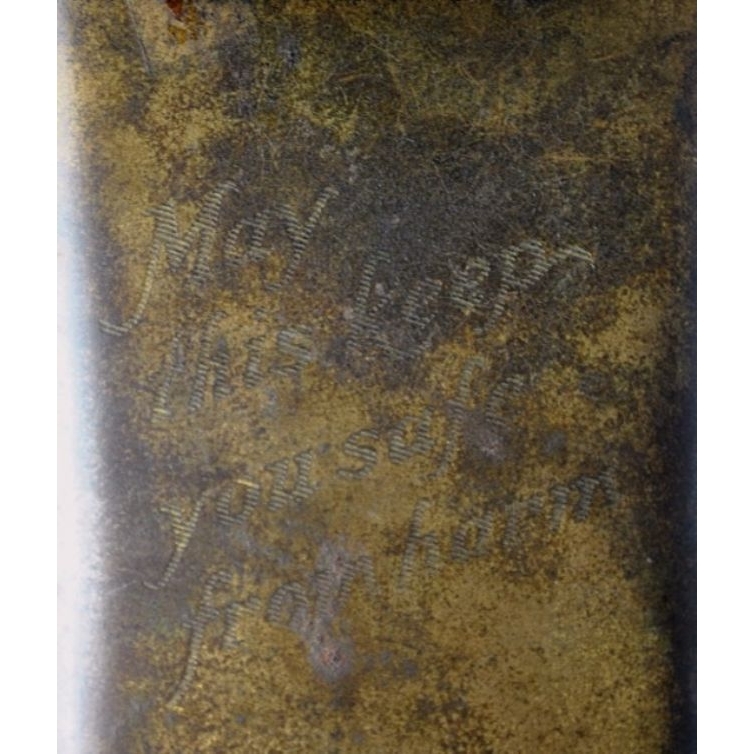 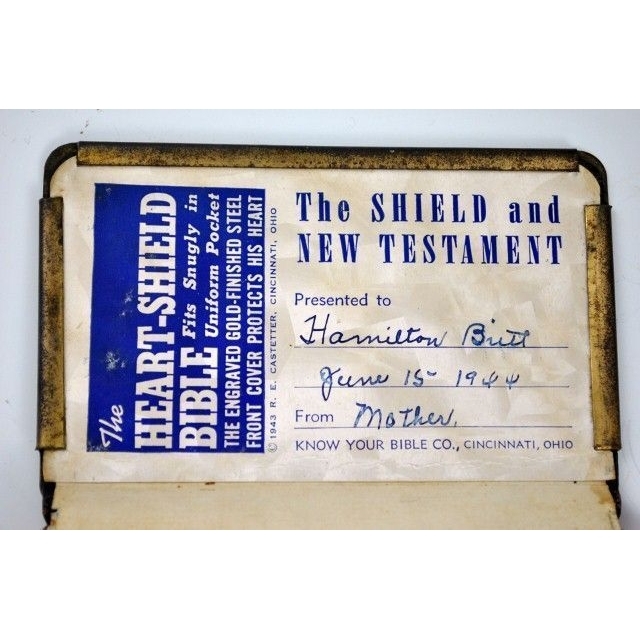 Born in Lumberton, NC in 1921 Hamilton Britt enlisted in the Marine Corps on June 17, 1944 and served as an infantryman during the Pacific campaigns until wounded in action on Iwo Jima on March 5, 1945…Among the artifacts presented here is a small Heart-Shield Bible engraved “May This Keep You Safe From Harm” on its brass cover…Inside is a presentation from Britt’s Mother dated June 15, 1944, two days prior to his enlistment…Pvt. 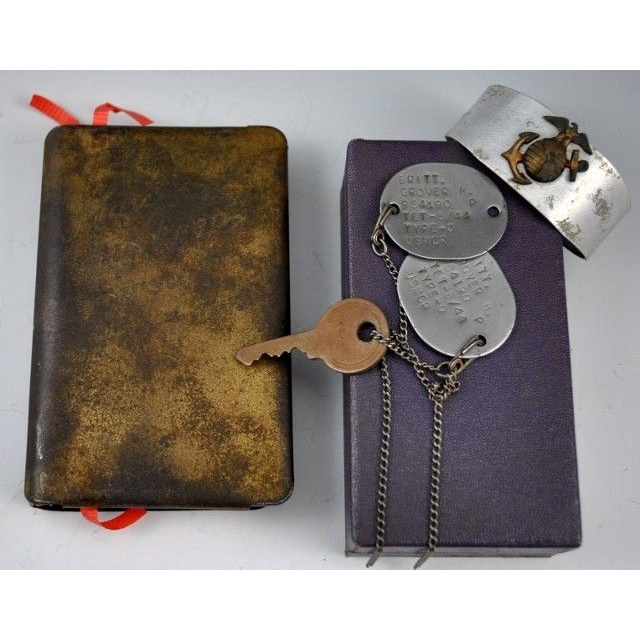 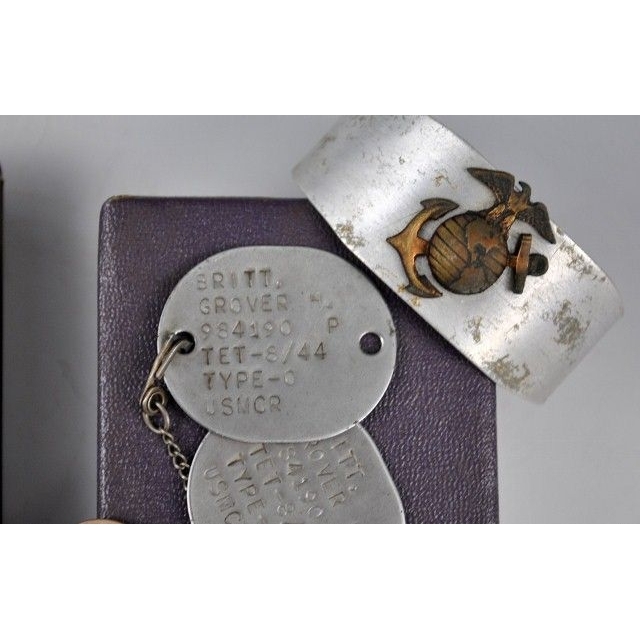 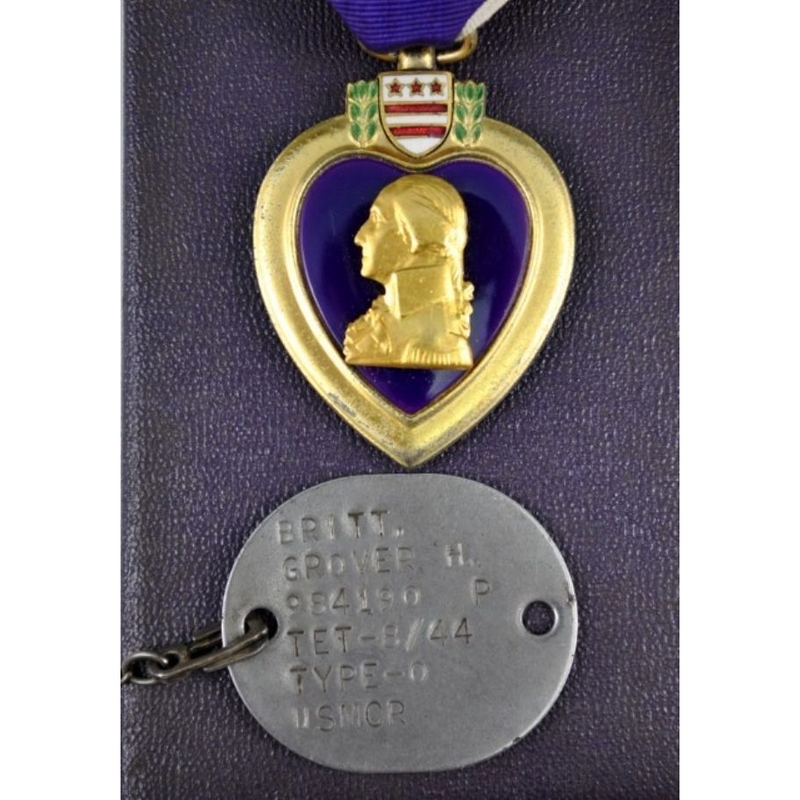 Britt’s US Navy/USMC issue style cased purple heart medal with half wrap brooch clasp, dog tags and his aluminum bracelet with bronze EGA insignia are shown with WWII Marine Corps documents…One letter to his mother dated 20 March 1945 informed her that he had been wounded in the fighting on Iwo Jima; there is a follow up letter dated 11 May 1945 informing her that he had been returned to service-a full two months that I am certain were quite difficult for Mrs. Britt wondering how her son was doing…Pvt. 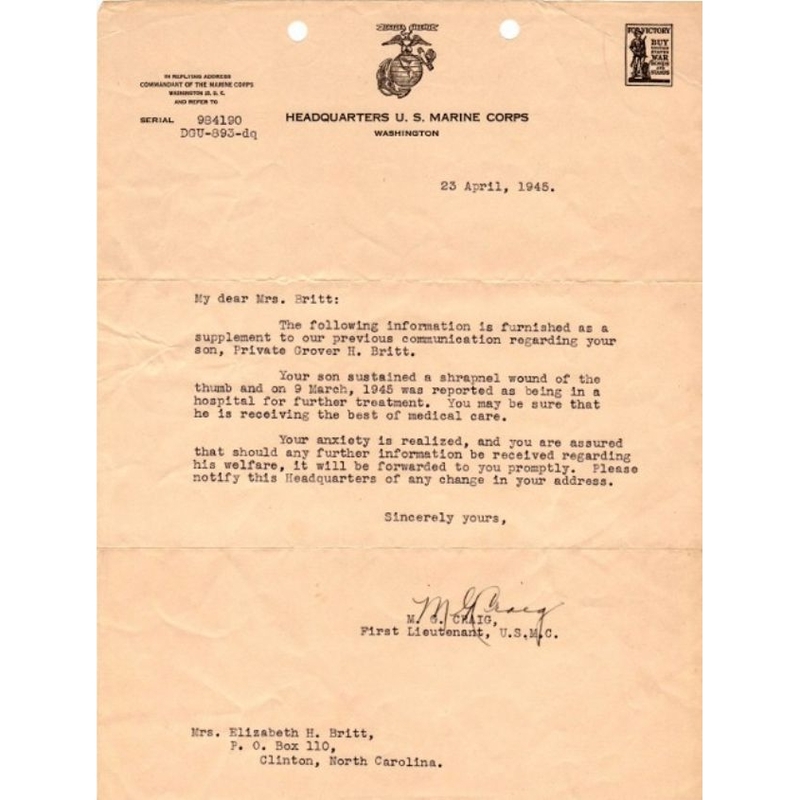 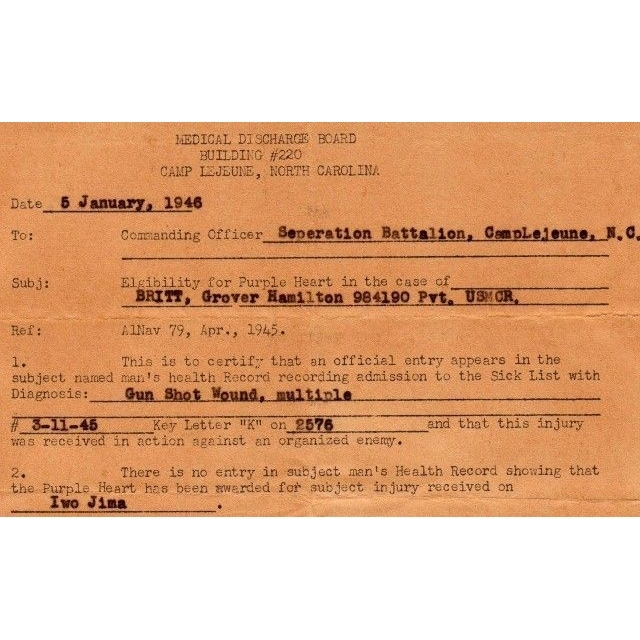 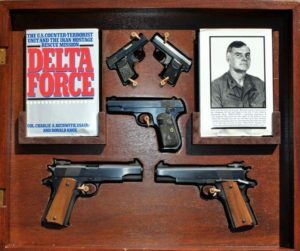 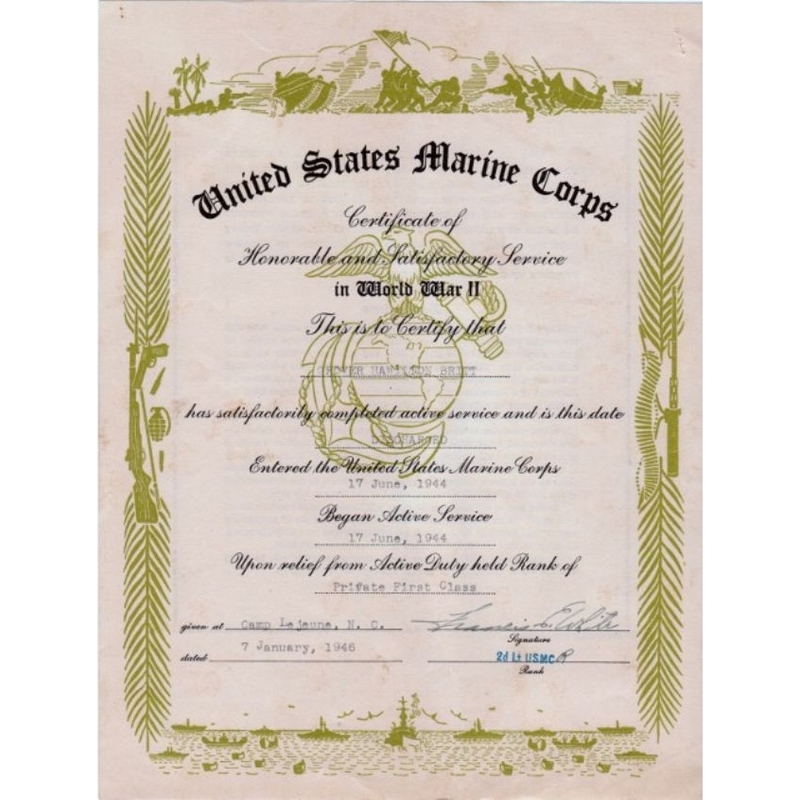 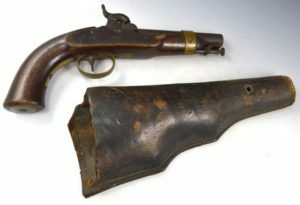 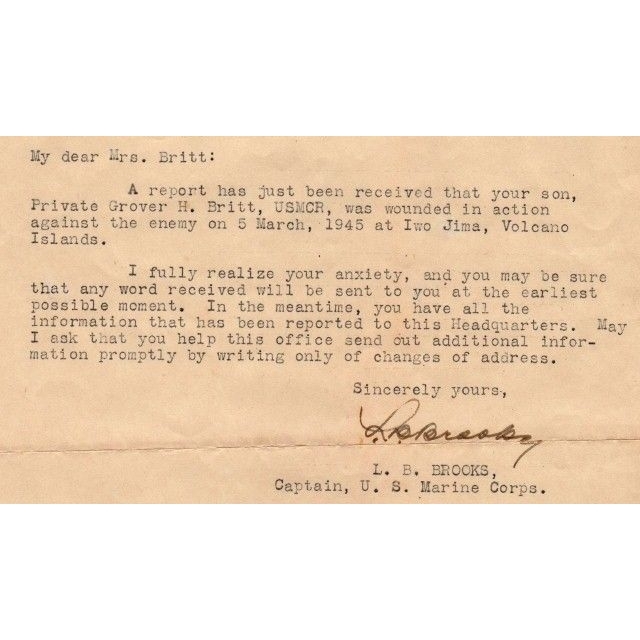 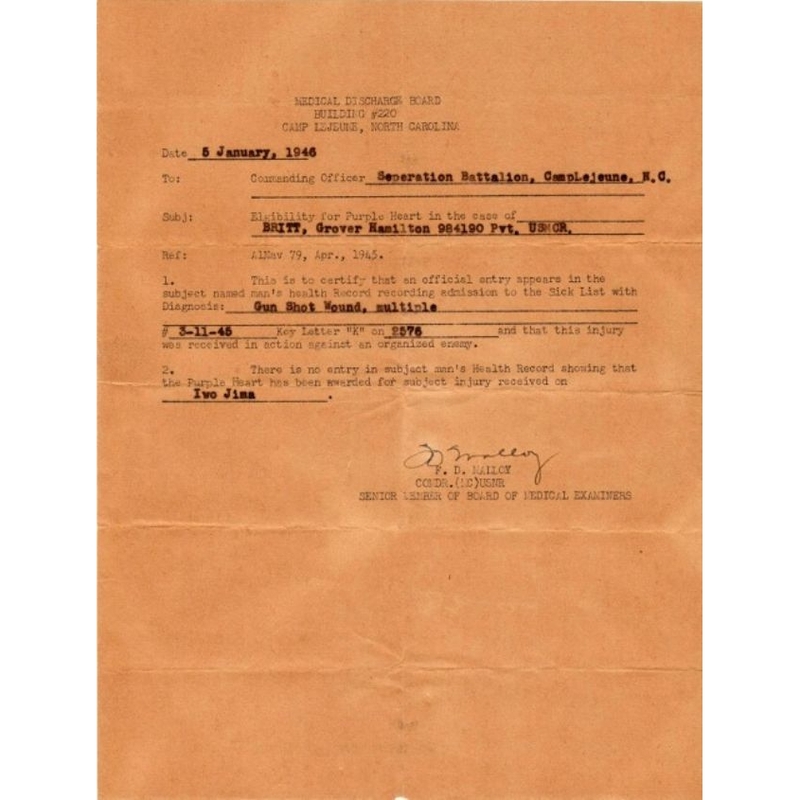 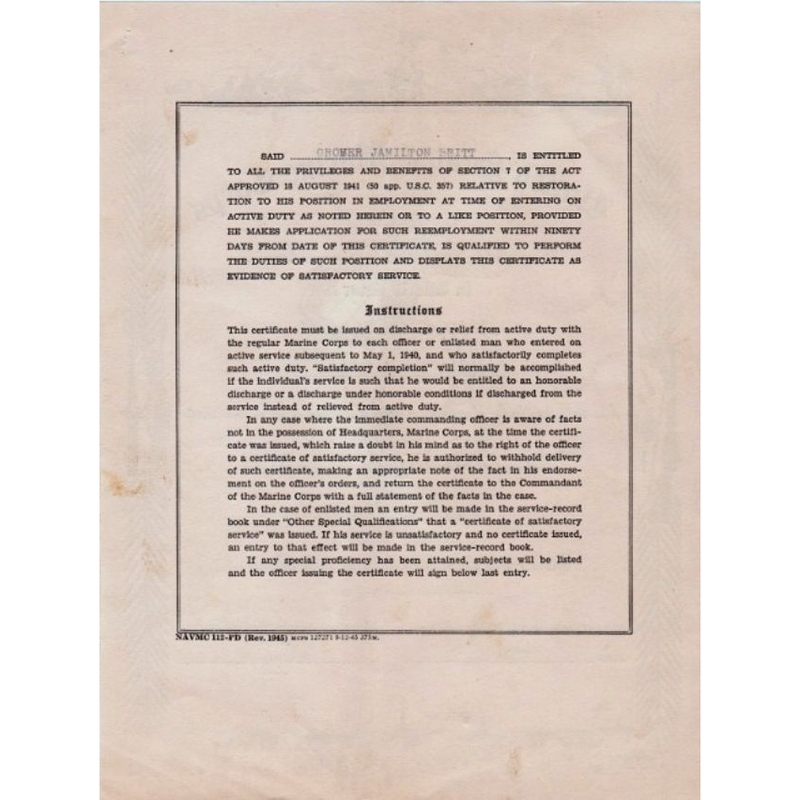 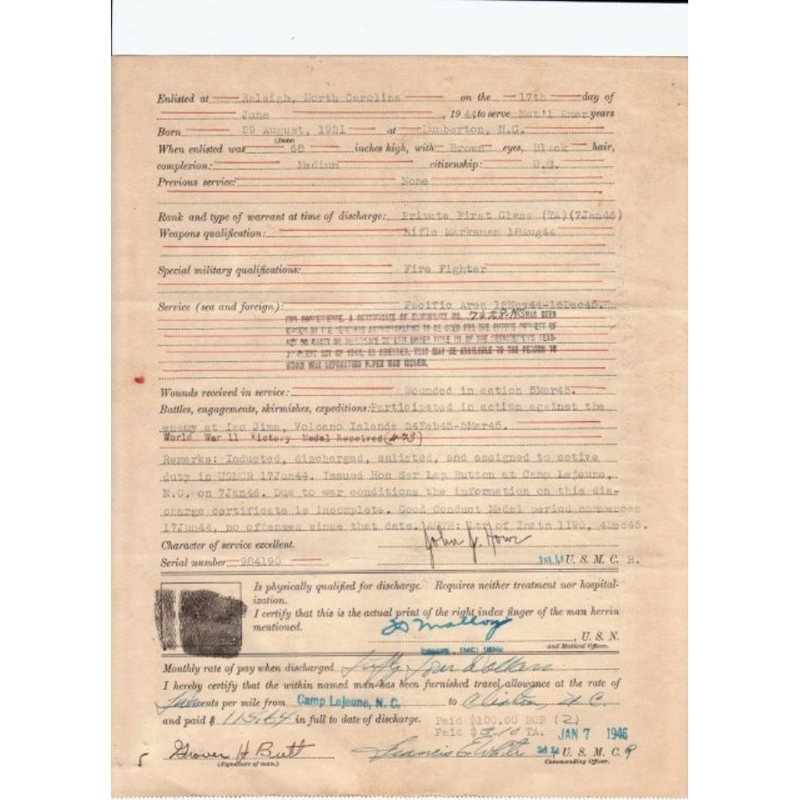 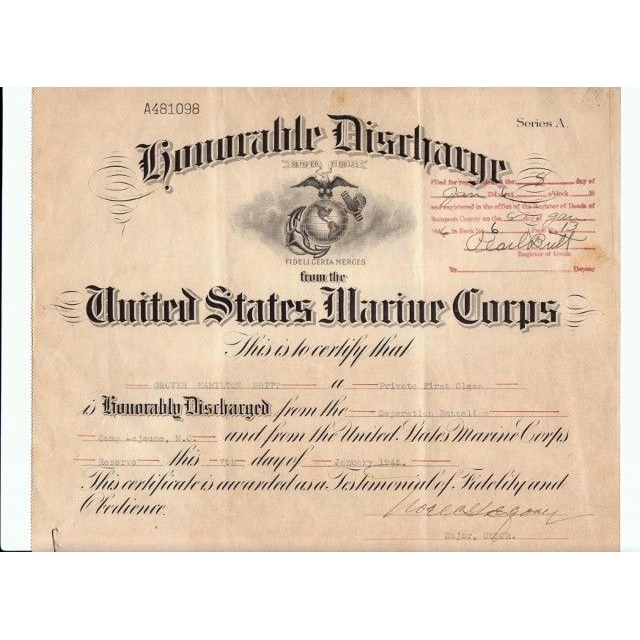 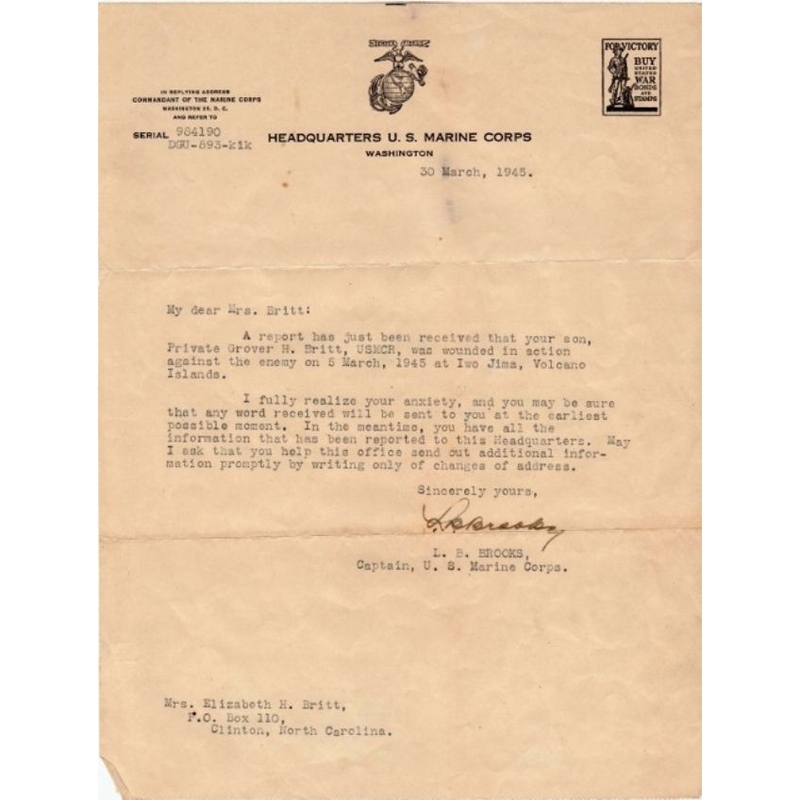 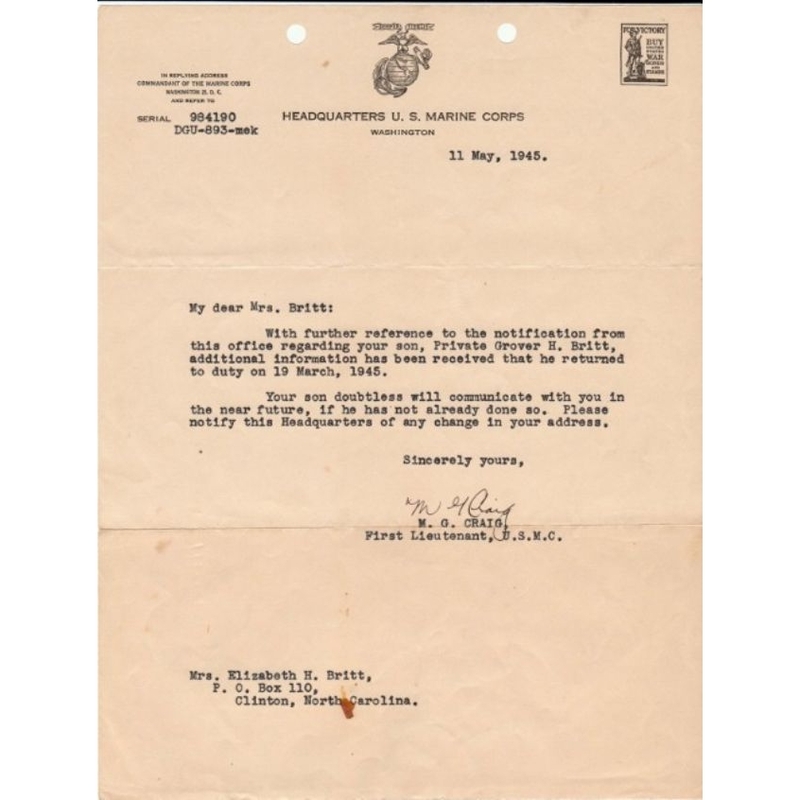 Britt’s US Marine Corps Cerificate of Honorable and Satisfactory Service and his Honorable Discharge stating his service and wounds are included with his medical discharge papers describing his multiple gunshot wounds. 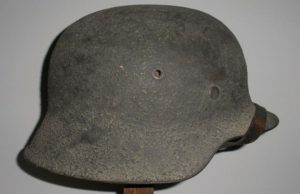 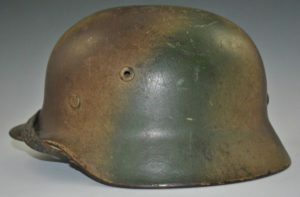 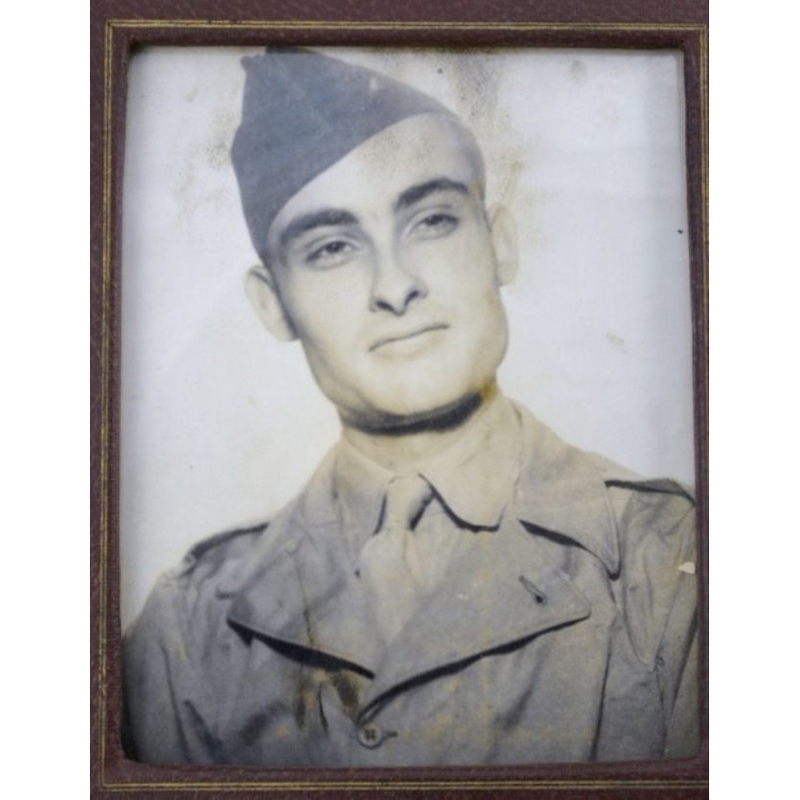 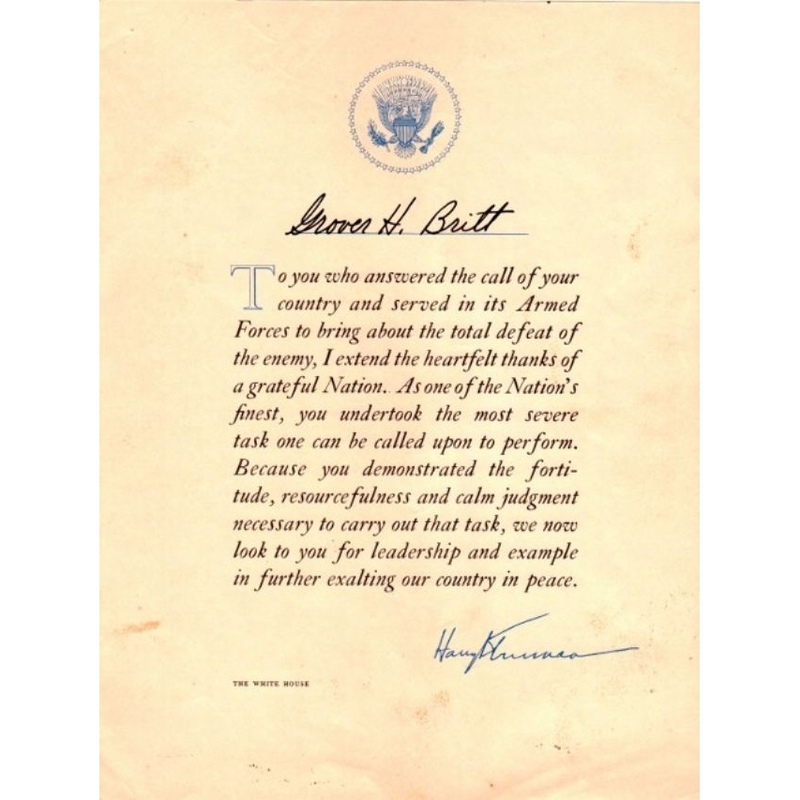 Hamilton Britt left the service in 1946 and lived and worked in North Carolina for his remaining years.